Choose this option if you are a member of the IBAW. Choose this option if you are not a member of the IBAW. FREE EVENT For IBAW Members! 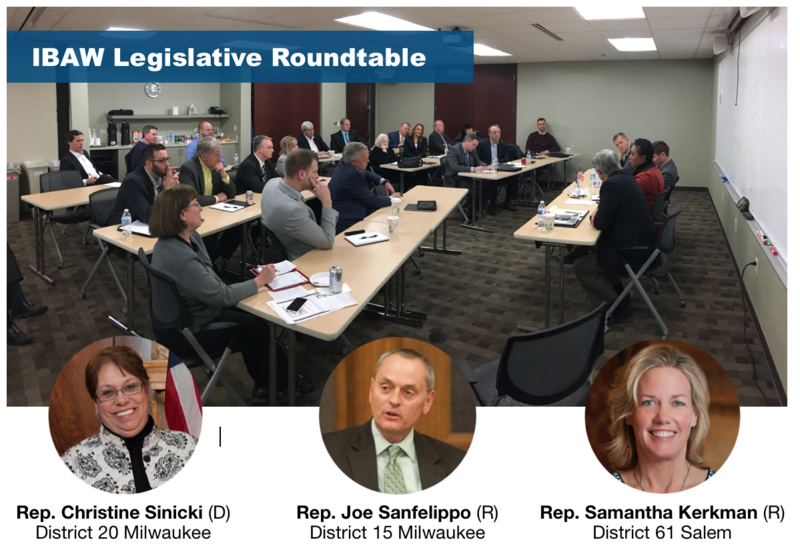 The IBAW Legislative Committee presents an open format for you, the Wisconsin business owner, to meet and connect with our representatives in Madison. We'll have Democrats and Republicans in attendance. It's also an opportunity for the Representative to communicate to you what is on deck for the 2018-19 Legislative Session and to get your feedback. Free for IBAW members, $25 for non members.